Anadrol (Oxymetholone) is a fairly popular anabolic steroid due to its incredible potency and strength, but it is at the same time known as being quite liver toxic and ‘harsh’ in terms of its side effects and tolerance by individuals. It is often compared with Dianabol (Methandrostenolone) because both of these compounds are fairly similar in terms of how they are used and their effects on the body, but there are some stark differences between the two. This has always been a point of debate among bodybuilders and the anabolic steroid using community. Oxymetholone is the generic chemical name for Anadrol, which is actually the trade name. Anadrol was first mentioned in scientific journals in 1959, and it was not long before Syntex, a pharmaceutical manufacturer, marketed Oxymetholone under the brand name of Anadrol-50. Although Syntex marketed the product, Parke Davix & Co. was responsible for actually manufacturing the drug, but they strangely manufactured it under the name Androyd. It wasn’t long before Anadrol’s use swept the medical field, and was utilized as a medication to fight infections, atrophy from a myriad of causes (geriatric conditions, muscle wasting diseases, etc.). It was actually utilized more commonly to treat the condition of anemia. 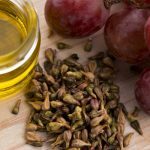 This was Anadrol’s most popular use, as it is well known for its particular ability to bolster red blood cell, and therefore, hemoglobin production in the body. Anadrol, like all anabolic steroids, have the ability to bolster a process in the body known as erythropoiesis (red blood cell generation) at a greater rate than normal. Anadrol is known to exhibit this effect in a greater degree than most other anabolic steroids, which is why it is well-known for this effect. Medical studies have demonstrated that Anadrol has the capability to increase red blood cell generation by a 5-fold factor. Along with its erythropoietic effects, it also exhibits a great deal of protein synthesis and mass-promotion, which has been demonstrated in studies on AIDS patients where one study demonstrated an 8kg weight gain versus the placebo group, which lost weight and mass and also experienced a mortality increase. As demonstrated by these studies and results, it is evident as to why Anadrol is attractive to bodybuilders and strength athletes. It is also the same reason as to why Anadrol is still a medication that is prescribed to AIDS patients as well as those suffering from wasting diseases. Anadrol belongs to the family of anabolic steroid compounds known as DHT-derivatives. DHT is Dihydrotestosterone, a strong and naturally manufactured androgen in the human body. As such, Anadrol is a modified form of Dihydrotestosterone. There are other anabolic steroids in this same family, such as Anavar (Oxandrolone), Winstrol (Stanozolol), Primobolan (Methenolone), Masteron (Drostanolone), and a few others. All of these compounds – Anadrol included – are modifications of DHT. As such, DHT is the father of all of the aforementioned compounds, and so almost all of these compounds share similar characteristics to their ‘father’, DHT. Anadrol in particular is methylated, meaning it is DHT with a methyl group affixed to it. It also has the addition of a 2-hydroxymethylene group bound to a carbon atom located in the first cycloalkane ring of the overall structure of the steroid molecule. One may ask what these modifications mean? They provide Anadrol with a significantly larger degree of active life in muscle tissue compared to DHT itself. DHT is normally broken down by enzymes 3-hydroxysteroid dehydrogenase once it enters muscle tissue. Anadrol’s modifications allow it to effectively bypass this pathway, allowing it to remain in its original form in muscle tissue so that it can perform its biological role. This is why Anadrol is such a potent compound. Anadrol holds an anabolic rating of 320, which is 3.2 times stronger than Testosterone itself by comparison (which has an anabolic rating of 100). 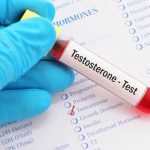 Anadrol also exhibits far less androgenic activity than Testosterone, as evidenced by its androgenic rating of 45, whereas Testosterone’s androgenic rating is 100. Although Anadrol is a DHT derivative, it is peculiarly different in some ways to DHT and has some effects that might seem counter to that of DHT. This is something that is normally not seen in other DHT-derived anabolic steroids. For example, Anadrol is known to exhibit a measure of Estrogenic activity in the body, but logically speaking, DHT derivatives should not possess Estrogenic activity because DHT derivatives cannot aromatize (convert) into Estrogen in the body. This has led researchers and experts to believe that Anadrol does not aromatize into Estrogen, but that Anadrol instead possesses Estrogenic effects itself. This has been observed by many anabolic steroid users who can attest to the fact that Anadrol does exhibit certain Estrogen-like side effects, such as water retention, gynecomastia, etc. Unfortunately, due to its inability to convert into Estrogen, these Estrogenic side effects cannot be mitigated through the use of aromatase inhibitors. Some of these side effects, such as gynecomastia, can be mitigated by Estrogen blockers such as SARMs, for example, Nolvadex (Tamoxifen). Finally, the most significant and often-discussed issue where Anadrol is concerned is with its hepatotoxicity (liver toxicity). Anadrol is alkylated at the 17thcarbon (known as C17 Alpha Alkylation, also known as methylation). This chemical modification allows Anadrol to survive metabolism in the liver when ingested orally, but it unfortunately places a measurable amount of stress on the liver because it is more resistant to breakdown in the liver (liver metabolism). Some consider Anadrol to be one of the most liver toxic anabolic steroids, if not the most liver toxic oral anabolic steroid. As previously described and discussed, Anadrol’s C17 methylation grants it a measurable degree of liver toxicity, and is considered among the worst oral anabolic steroids for negative effects on the liver. 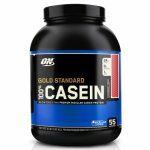 Some have also contended that this side effect has also been over exaggerated by bodybuilders and athletes over the years, but it is still a side effect that should be paid mind to by any user. What is peculiar about this aspect of Anadrol is that it actually possesses a characteristic that by all intents and purposes should reduce its liver toxicity. Practical real world studies and experience, however, suggest that it is still fairly liver toxic, as demonstrated by studies that observed AIDS and HIV patients . What can be surmised by this is that Anadrol cycles should be run for no longer than 4 – 6 weeks in duration and should be utilized with compounds and supplements that support healthy liver function. Estrogenic side effects have previously been mentioned, which are another concern where Anadrol side effects are concerned. As previously discussed, being a DHT-derivative, Anadrol should not convert into Estrogen, but it has been determined that Anadrol itself exhibits Estrogenic activity perhaps at Estrogen receptor sites. This can generate potential Estrogenic side effects such as water retention and bloat, increases in blood pressure as a result, and the potential to trigger gynecomastia. The best course of action to mitigate these side effects would be through the utilization of a SERM (Selective Estrogen Receptor Modulator), such as Nolvadex (Tamoxifen). This will mitigate side effects such as gynecomastia but will not address issues such as water retention and bloating. Aromatase inhibitors, which are compounds that prevent the Aromatase enzyme from converting androgens into Estrogen, would be useless to combat Estrogenic side effects from Anadrol. Anadrol has also been speculated to potentially have Progestogenic activity, but studies have shown that Anadrol does not exhibit any Progestogenic activity[7}. Once again, the current explanation that researchers and experts adhere to is that Anadrol itself has direct interactivity with the Estrogen receptors in certain areas of the body, and that perhaps a metabolite of Anadrol does this also. Androgenic side effects are reduced a great deal with Anadrol compared to other anabolic steroids because Anadrol does not convert into the much stronger DHT androgen, as it is a DHT-derivative itself. Its chemical modifications grant it a lower androgenic activity furthermore. Instead, Anadrol has been demonstrated in research to metabolize into a compound known as 17-alpha-methyl dihydroteststerone (also known as Mestanolone). The Mestanolone metabolite itself is a stronger androgen than Anadrol, so some androgenic side effects can and will possibly be experienced with the use of Anadrol. These side effects include: BPH (benign prostatic hyperplasia), MPB (male pattern baldness), increased sebum secretion of the skin (oily skin), and by extension, the possibility of increased acne. 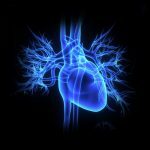 Cardiovascular side effects are a present issue with Anadrol, as they are with any anabolic steroid. Studies have shown that Anadrol has affected measurable changes in blood lipid (cholesterol) levels. Anadrol exists in oral format only, in the form of tablets or capsules. Within medicine, Anadrol enjoyed great widespread use throughout the 1950s to the 1980s and even still to this day. What dosage it was prescribed depended on the medical condition it was being prescribed for. As with many anabolic steroids and drugs, the FDA guidelines have changed over the years a variety of times. 2.5mg of Anadrol administered three times daily have been used, upwards of a total of 30mg daily. By the 1970s, Anadrol was commonly prescribed following a protocol of 1 – 2mg per kg of bodyweight daily, according to FDA guidelines. Anadrol is usually manufactured in the format of 50mg tablets. Bodybuilders and athletes have frequently settled on the use of 25 – 50mg daily as a beginning dosage. Those with more experience have been known to use 50 – 100mg daily. Experienced users have also ventured as high as 100 – 150mg per day, but this is known as a very high-risk practice and Anadrol is such a potent and strong compound that for even the most experienced and advanced users, 50mg per day is strong enough. Dosages higher than this present a significantly increased risk of liver toxicity. In fact, studies have demonstrated that although 100mg of Anadrol is more effective than 50mg, there is a bell-curve effect in that anything greater than 100mg do not produce any significantly greater results, resulting in diminishing returns. An interesting point to note about Anadrol is that bodybuilders and athletes have noted anecdotally through experience that it seems to have an appetite curbing effect, and usually increases with an increase in dosage used. Research has shown that Anadrol tends to increase glucose intolerance as well as resistance to insulin, which might indicate that the body might become less efficient in nutrient partitioning and utilization. Anadrol possesses a half-life of approximately 8 – 9 hours, so many users might wish to evenly divide the dosage up throughout the day. A morning dosage of half of the total daily dosage might be optimal, followed by the second half of the daily dosage taken in the evening. 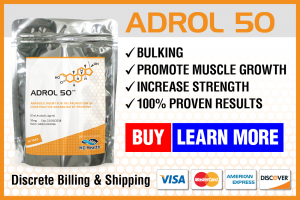 Anadrol cycles are usually those that are engineered towards mass gain, bulking, strength, and significant and rapid increases in weight gain. It is for this reason that many do not prefer this compound for fat loss (i.e. ‘cutting’ cycles) or pre-contest in the context of competing bodybuilders. Because of its Estrogenic effects, it is a poor choice for this reason alone. During an Anadrol cycle, one might experience more water retention, lending a ‘soft’ look to the physique, which is not conducive to those looking to achieve a ‘chiseled’ or ‘cut’ look to the physique, although these effects are temporary during Anadrol cycles. Because of Anadrol’s unique pathway of its Estrogenic effects, it is extremely difficult, if not impossible, to mitigate these effects with aromatase-inhibitors in the same manner one could do with aromatizing compounds such as Testosterone or Dianabol. Anadrol cycles usually involve Anadrol being used as what is commonly known as a ‘kickstarter’ for the first 4 – 6 weeks of a cycle while the user waits for the more long acting injectable compounds to take effect (such as Testosterone Enanthate, Nandrolone (Deca-Durabolin), etc.). Some also use Anadrol to push past plateaus during their training due to its potent effects on strength and mass gain. It can also be utilized at the tail end of a cycle in order to finish a cycle off with a ‘bang’, so to speak, before the end of the cycle and transition into PCT (Post Cycle Therapy). As previously mentioned for a variety of reasons, Anadrol use in cycles should not go beyond 4 – 6 weeks. 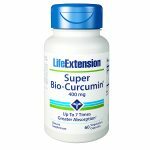 This is primarily to avoid dangerous liver toxicity issues over time, as well as the alterations in blood cholesterol. Usually after Anadrol use after the 4 – 6 weeks, other compounds, usually injectables, are continued beyond the end of Anadrol use for several weeks. As laws and regulations vary across the world in different regions and countries, it is the individual’s responsibility to know their laws. Unfortunately, there are too many countries and regions to cover when it comes to laws and legality, but generally the laws are as follows: in the UK, anabolic steroids such as Anadrol are treated as legal for personal possession and use, though trafficking is illegal. The same is true for Canada, where anabolic steroids are a schedule IV drug. 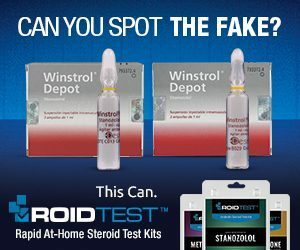 In the United States, anabolic steroids such as Anadrol are a schedule III drug, and possession, use, and trafficking are all illegal criminal offenses without a valid doctor’s prescription. Though it is not as popular as other compounds such as Dianabol, Anadrol is quite a popular compound and can always be purchased with ease. All anabolic steroids often fall into two categories: underground lab (UGL) grade products, and pharmaceutical grade products manufactured by legitimate pharmaceutical companies. There are significant price and quality differences between the two, but Anadrol is such a common and affordable compound that price differences between the two grades are not as significant as other compounds. Pharmaceutical grade Anadrol is often sold in the range of $1.30 – $2.50 per tablet containing 50mg. UGL grade Anadrol, by comparison, is frequently sold in the range of $0.75 – $2.30 per 50mg tablet. The range of price can vary due to where it is sold, who is selling it, and how it is supplied. Anadrol can be purchased from ‘gym dealers’ that sell products in person to customers, or it can be purchased online. This is where price variation comes into effect, and one’s experience may vary a great deal depending on the source. Long-term oxymetholone use in HIV patients not associated with significant hepatotoxicity. Hengge UR et al. Poster presented at the Third International Conference on Nutrition and HIV Injection; April 22-25, 1999; Cannex, France.